Knop is an extremely simple speedometer application for iOS to be used at sea. It shows the current speed in number of knots, as well as the precision of the measurement, represented as simple to read dots. The application is written in Swift, and is targeted towards the Norwegian market, with its name being the Norwegian translation of knots. September 6, 2015 by Christian D Tuen. 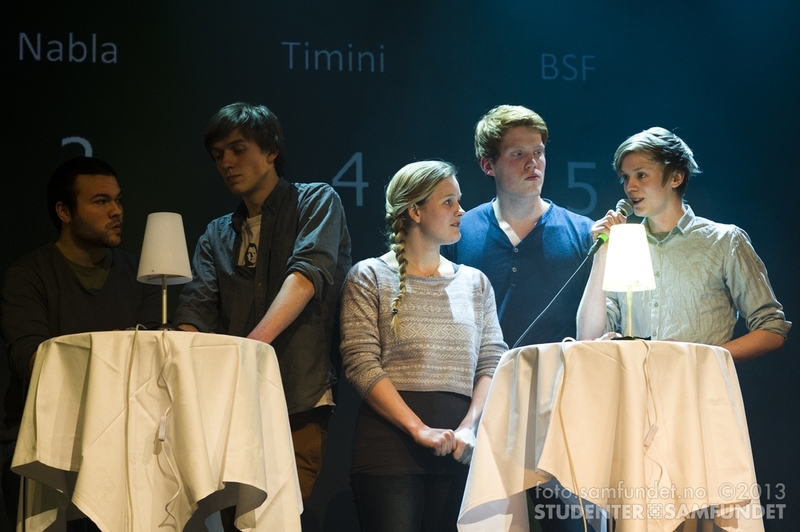 A small and easy to use scoreboard for quizzes, originally reated for the student society in Trondheim. The output is meant to be keyed out through a video mixer so that it can be projected on any video or image you want, but works perfectly on its own. The software is made using python and QT, and is available on github. May 10, 2013 by Christian D Tuen. This network-based temperature sensor was made using an arduino duemilanove, Python, PHP, MySQL and a lot of other systems that i am not going to elaborate here. The webpage showed one graph for each of the last seven days. It also tweeted on the account @trondheimtemp. The home automation system has been a work in progress since 2009. The most noticeable difference during the last years has been the introduction of the raspberry pi as the controller for the system. The raspberry pi is communicating with wireless relays through the 2.4GHz frequency through a USB-transmitter. The range of the system is increased by the addition of an external antenna on the transmitter. The system uses Debian Squeeze, MySQL, PHP, JQuery, Apache, amongst other things.